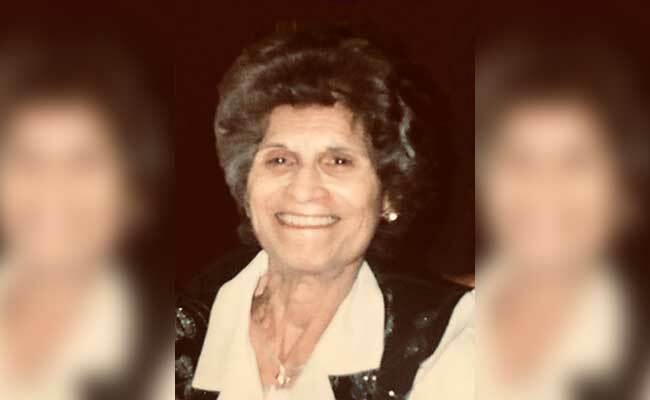 Gloria N. Perez, a resident of Morenci quietly entered into eternal rest Tuesday morning, October 2, 2018, at her home in Tucson. Gloria was 81. Gloria was born December 19, 1936, to Eduardo and Sabina Navarrete. She was the second oldest sibling out of eleven brothers and sisters. Gloria grew up in New Town and graduated from Morenci High School in 1954. She married Frank “Tito” Perez in 1960, together they had six children, Frank Jr., Sabina, Martin, Lydia, Grace Ann, and Grace Alice. Gloria expressed her love through cooking. She enjoyed spending time with family and friends, attending Sunday Church, and cheering on her University of Arizona Wildcats. Gloria is survived by: her husband, Frank “Tito” Perez; her children, Sabina Perez (Jesus), Martin Perez, Lydia Tellez (Tony) and Grace Gastelum (Manny); her grandchildren, Anthony Gabriel Tellez, Lucas Florencio Tellez, Emilee Raye Tellez, Isaiah David Gutierrez, Gabriann Ellana Moreno, Elijah Frank Gutierrez, and Mina GloryAnn Gastelum; her brothers, sisters, nephews, and nieces. Gloria was preceded in death by: her parents, Eduardo and Sabina Navarette; a daughter, Grace Ann Perez; her son, Frank Perez Jr.; her granddaughter, Gloria Norma Bednard; a great-grand-daughter, Kaya Tellez, and a brother, Alfred Navarette. A Mass of Christian Burial for Mrs. Perez will be celebrated Monday morning, October 15, 2018, at 11:00 a.m., at Sacred Heart Catholic Church in Clifton by Rev. Nathaniel Mma. Committal will follow in the Sacred Heart Catholic Cemetery. A Rosary for Gloria will be prayed Monday morning, October 15, 2018, at 10:00 a.m., at Sacred Heart Catholic Church. The family will receive friends Monday morning from 9:00 a.m. until 10:00 a.m., also at the church. Online condolences may be offered at www.viningfuneralhome.com.